You've checked the costs, figured out the access, and you're taking your iPhone on vacation to Greece. But your iPhone needs some new vacation gear too. 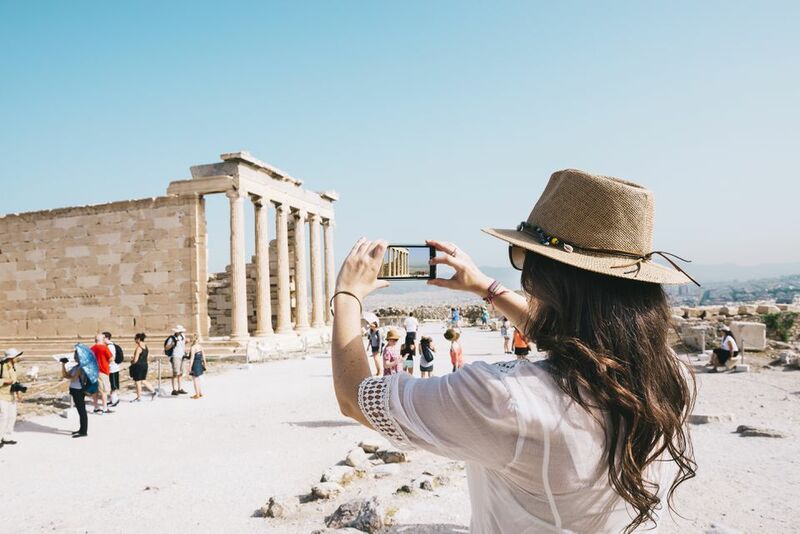 Here are some of the best apps to have on your iPhone while traveling in Greece. This app provides information on Athens, with the option to review different places. It's designed for both visitors and Athenians, so it includes information on traffic congestion and movie times, in addition to info on archaeological sites and other attractions. This application provides you with an audio feature and some essential phrases in Greek. One oddity? They add some extra letters to the "standard" transliteration from English to Greek, so the number "one", usually transliterated as "ena", becomes "aena" - a little more confusing than necessary for travelers. Ten, usually "deka" is spelled "thaeca". But if you're listening to and following the pronunciations, this shouldn't interfere with your use of the app. Exploring Santorini, Pelion, and Greece, in general, may be easier with these iPhone apps for Greece, all available from the iTunes app store. Meteo.gr is an excellent weather website and it has an app for the iPhone - but comments seem to indicate it is crash-prone. This handy app provides a number of walks through Thessaloniki, along with geographic details. It includes Facebook and Twitter support. Does your trip to Greece include a flight on Aegean Airlines? You'll want this handy app on your phone for mobile check-in, updates, and other information. It's one more way to keep in close contact with your airline and can be helpful for last minute changes and in emergency situations. It's a good idea to download the appropriate apps for all of your flight and transport providers in Greece.